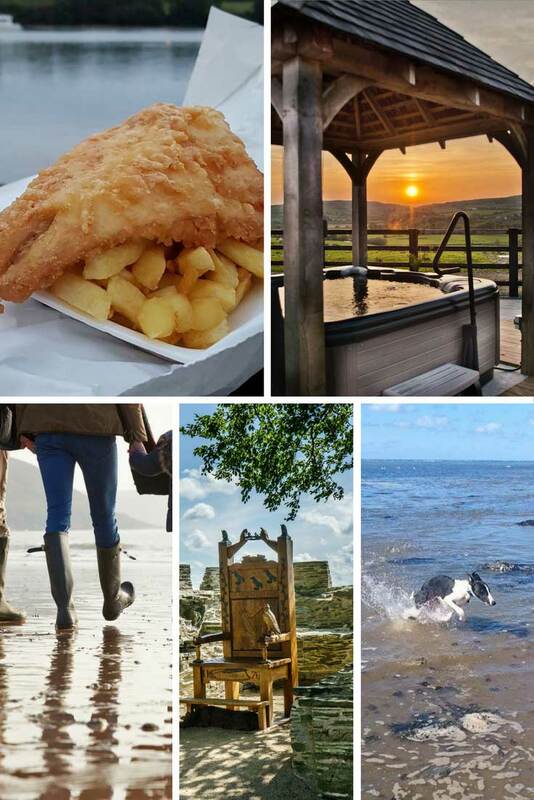 What’s West Wales like in February and what can you do there, I hear you ask? The sun still shines in February and although it is much colder than summer, you can still have a magical holiday. We thought we’d show you some examples of what we locals might get up to. I don’t think I know anyone who doesn’t like fish and chips (veggies aside). It’s great at any time of year and widely available. Finding some great spots to stop and eat them is one of my favourite things to do here. Read my recent blog post to see some of my favourite spots to eat fish and chips. You may or may not know that Wales has more castles per square mile than any other place in the world! West Wales is so rich in heritage, you could spend hours exploring just one. Cardigan Castle is somewhere I like to go a lot. The 1176 restaurant does a great scone with jam and cream and a cracking cup of tea. You can literally spend a couple of hours just wandering the grounds and exploring the history. Don’t forget to get a photo in the famous Eisteddfod chair! You can even stay at Cardigan Castle. Choose from 3 self-catering holiday cottages there: East Wing, Gardener’s Cottage and The Coach-House. There are some fabulous beaches here in West Wales and this time of year they are beautifully dramatic. What better way to explore them than with your dog? Take the children to Castell Henllys this February Half Term where they can go back in time and experience life in an Iron Age fort. Read all about it in our blog post featuring five fact-filled days out. There is always something to do here and you’re almost guaranteed to see something out of the ordinary during your stay. The funniest is watching someone attempt the coast path in flip flops… yes, it does happen! This entry was posted in Places to see and things to do and tagged child friendly, dog friendly, outdoor activity. Bookmark the permalink.